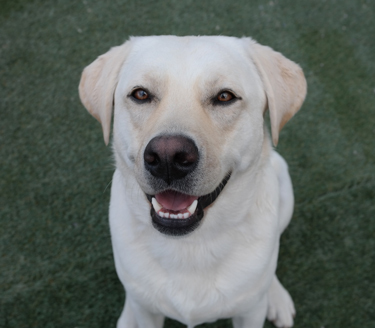 Daycare Pick-up Deadline is 5:30 p.m.
You must pick up your dog by 5:30 p.m. The best time is between 4:00 and 5:30 p.m. If you need to pick up your dog before 4 p.m., please let us know ahead of time so we can plan for your early arrival. If you are unable to pick up your dog on time, please call before 5:15 p.m. 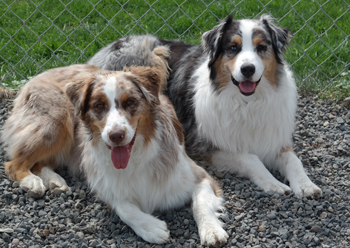 If you have not called and you have not picked up your dog by 5:30 p.m., we may charge a $25 late fee. If your dog is not picked up by 6 p.m., we may kennel your dog overnight and charge for boarding ($35) plus the late fee ($25). Boarding Drop-off is Between 8 and 9 a.m.
We accept boarding dogs between 8 and 9 a.m. If you need to drop off your dog between 7:30 and 8 a.m. (because you have a plane to catch or another time-critical commitment), please let us know ahead of time so we can try to accommodate your schedule. 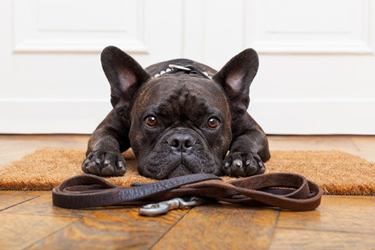 If you arrive for boarding before 8 a.m. without arranging for early drop-off, we may have to ask you to wait while we are checking in the daycare dogs. K9 Country Club will be closed for daycare on Tuesday, July 4. Before you head out to enjoy the holiday, make sure your dog is safe and secure at home — especially if your dog is bothered (or terrified) of fireworks. More dogs are lost on the Fourth of July than on any other day of the year. In addition to the fireworks sure to go off on the Fourth of July, the Pippins baseball games will feature fireworks on July 3, 18 and 31. For those who schedule things well in advance, please make a note that K9 Country Club will be closed for boarding from January 27 through February 4, 2018. Laurie gets to go on a vacation! We recently had several new cameras installed and they're working very well. We can now see the grassy play yards, which is really helpful when giving video tours of the facility. We can also review the tapes for those yards, as we've been able to do with all the other cameras in our facility. New cameras in the daycare building are also helping us with keeping the little dogs calm during pick-up time. Right from the daycare building, we can now monitor arrivals and get your dogs out to you faster than ever. We really appreciate all the Wednesday dog parents for working with us on this! Jon Durand of Futurelink did a fantastic job helping us figure out where to add cameras so we could see the rest of the facility. The cameras are state-of-the-art and produce a really great picture! Jon and his crew were professional, knowledgeable, and courteous. Working in our environment with dogs all around is NOT easy, but they did a great job and were flexible as we moved dogs around them. We look forward to replacing the rest of our cameras and will again call on Futurelink for that project. Looking for a new security system, camera surveillance or more? Get in touch with Jon! Call 509-248-7070 or email jond@futurelinkcom.com. Jax says, "My dad is the best!" Aloha! 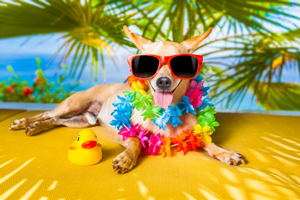 We're bringing the spirit of the Hawaiian Islands to K9 Country Club this summer. Our luau party will feature lots of games, photos, and special treats for everyone. Watch for more information and sign-up sheets in the daycare building and K9 office. With the warmer weather we've had the little pools out and the dogs are having a great time playing in the water. Now, with the hot weather here, we'll bring out the big pools and have even more fun! K9 Country Club is proud to support our local animal rescue groups and will donate two pawsitively great goodie baskets for these upcoming events. 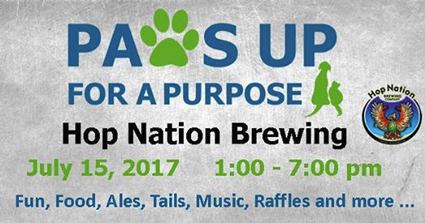 Grab your best friends, even the four-legged ones, and join Yakima Valley Pet Rescue on July 15 at Hop Nation Brewing for a summer afternoon of fun, food, ales, tails, music, raffles... and more. Enjoy Hop Nation's locally crafted ales along with bbq from Ken & Joe's Smokin' Grill. Kelly West, from KATS FM, will be on hand to emcee the event and provide music throughout the day. Try your luck at winning an amazing raffle item, including a hot tub valued at $1,200. 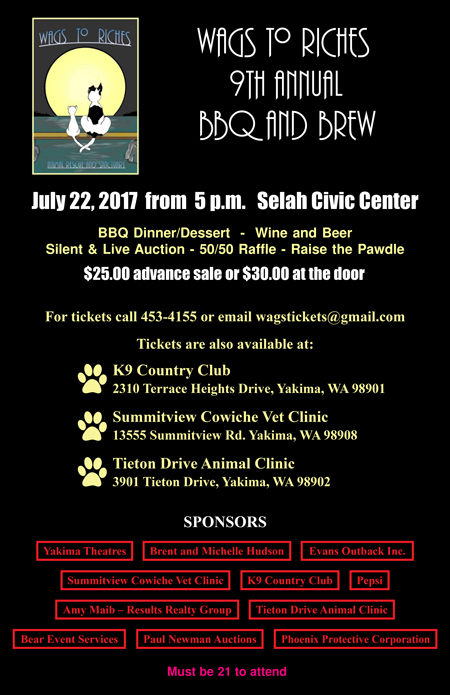 Get your tickets at K9 Country Club! for sharing their Bark Box toys and treats! We're using many of their goodies for our donation baskets. There are still some cases of the "dreaded cough" in our Valley. It usually rears its ugly head in the spring and then settles down... but not this year. While the cough is still active, please keep your dog away from dog parks (we know of three dogs who picked it up at the Randall Park dog park), pet stores, and other dog-oriented areas. And if you hear any coughing dogs while you're out with your dog... run in the opposite direction! 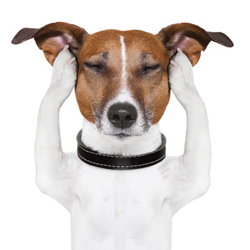 For more information, click this link to see a shelter medicine look at "the cough," what causes "it," why vaccinated dogs still end up with "it," and more than you ever wanted to know about the subject. You can also google CIRDC in dogs (Canine Infectious Respiratory Disease Complex) and a plethora of information will be at your fingertips!